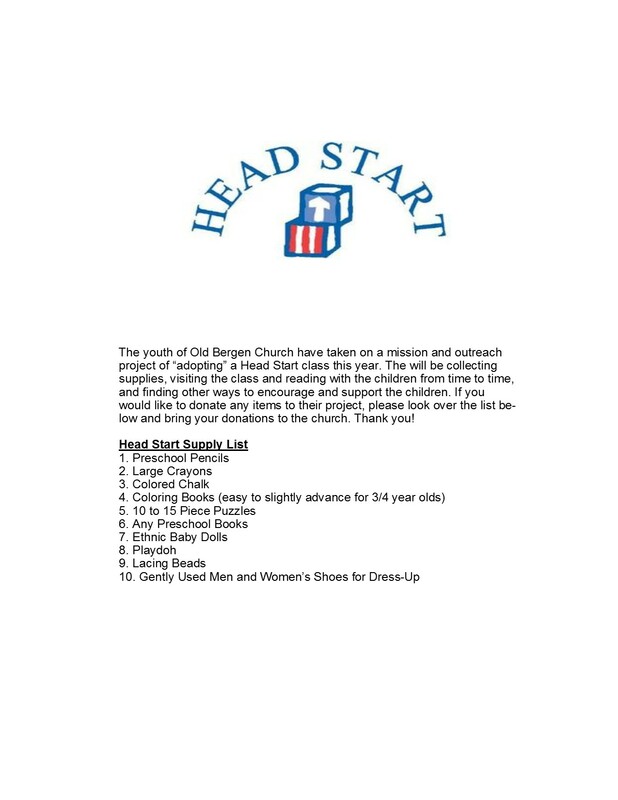 The youth will take on a mission and outreach project this year by “adopting” a Head Start Class. We will collect school supplies, visit and read to the class from time to time, and find other ways to support and encourage the children. Stay tuned for more details!